Very elegant with delicious spicy scents and honeyed almond aromas, enhanced with notes of leather, earth, and toast. Perfect for savoring with a fine Cuban cigar. 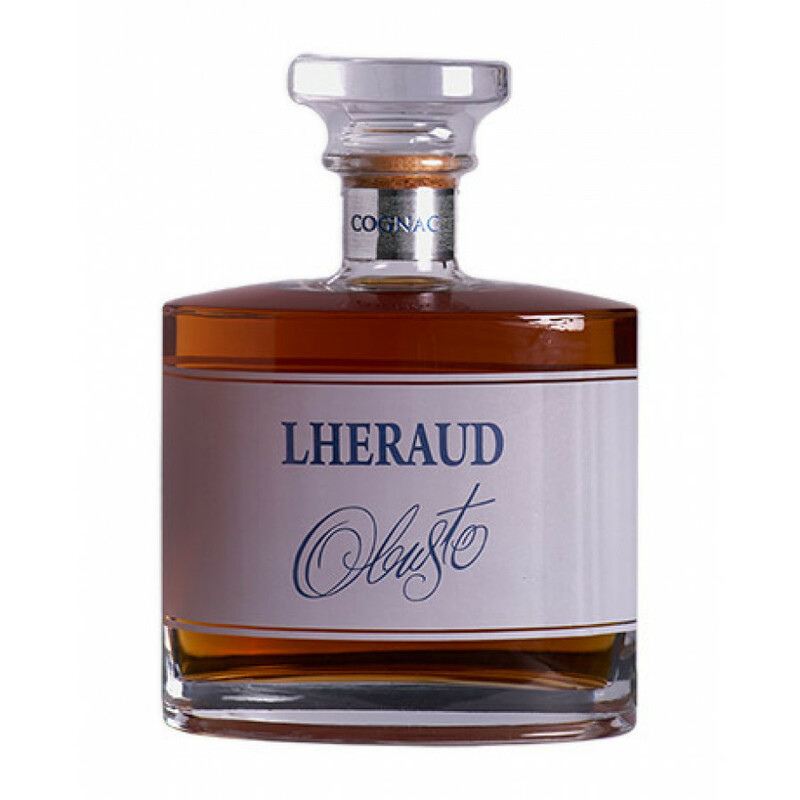 The Lheraud XO Obusto Cognac is made solely from grapes grown in the Petite Champagne growth area. At 42% and with its leathery, spicy, earthy tones, this makes it a great cognac for those who enjoy a little power to their drink, as well as being a great choice for pairing with your favorite cigar. Presented in a stylish decanter with a clean, striking label, this is a cognac that offers great value for money for one of such quality. The house of Lheraud creates their cognacs using centuries of family tradition - although they only began seriously marketing their wares in the 1970s. Hence today, many people have yet to hear of this artisan house. But make no mistake, once you've tried one of their products, then you're sure to return to sample more of what they have on offer. I totally love this new XO! The packaging is super elegant, especially the box. Okay.. the bottle is a little bit 'standard' (and also gets used by Butinet for their good XO). Great, great value for money though. If you like spices and rancio.. a little bit of a rough finish, but i like it.. that is the one to go with. A beautiful petit champagne growth area blend. I also really like the name of the bottle. Obusto!